Nancy Pelosi Communicates with Spirits of Dead – Background | Stop Obama Now!! 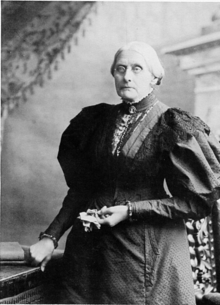 Nancy Pelosi talks about communicating with the spirits of dead suffrage leaders in the video at the site below, Susan B. Anthony and others. To understand where this kookiness come from, you should know some background history of the progressives. Here is just an outline. You may recall that self-proclaimed progressive, Hillary Clinton, once claimed to be channeling Eleanor Roosevelt and Mahatma Ghandi. Mitch Horowitz in the book “Occult America” points out that the original Progressive Party of the 1800’s was associated with the Spiritualism movement, that is people, who communicate with the dead via seances and channeling. The New Progressive Party was founded in the late 1940’s by occultist, Henry Wallace, who was Franklin D. Roosevelts Secretary of Agriculture, Secretary of Commerce and Vice-President. 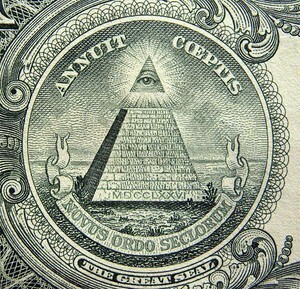 Henry Wallace was the person, who convinced Theodore Roosevelt to put the New-World-Order occult symbolism on the dollar bill, the pyramid with the all-seeing eye, etc. Wallace was a sympathizer of communism and had to drop out of the 1948 race for president, when his letters to his Rasputin-like Russian guru were discovered and published. Wallace’s pick for running mate in the 1948 election was another communist sympathizer and world famous black singer/actor, named Paul Robeson. Robeson was a mentor to Frank Marshall Davis and is the one, who suggested that Davis go to Hawaii to organize the plantation workers there. Robeson was considered to be a potential black nationalist messiah, as Obama has been heralded to be by people like Louis Farrakhan and Oprah Winfrey. The black messiah will unite blacks and “transform” (read destroy) the current American system as collective retribution for slavery. The FBI took away Robeson’s passport for a time during the Cold War, because they considered him to be a potential threat to national security. Robeson apparently never belonged to the Communist Party. He thought the Communist Party could be used to liberate Africa from colonialism. Black Nationalists have worked with communists, as well as certain white supremacist groups, when they have common interests. 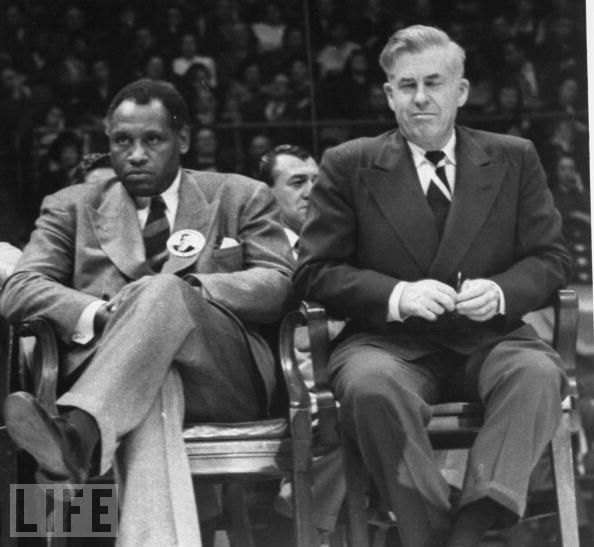 Robeson might be considered to be a secular black nationalist. Some of our top politicians have occult fantasies of world transformation into a kind of totalitarian world Utopia. There is a long history of it and a relatively small group of such people have been connected for generations, who are also connected to Obama. The idea of a “black messiah” who would subvert and transform America and the world is an old idea that is connected to Obama via Frank Marshall Davis and the occult circle of politicians and celebrities around Henry Wallace and Paul Robeson. Because of these associations with occultists and black nationalism, it is believable that Obama was raised from a young age that he could become a black messiah. As it turned out, he was able to gain the Presidency in order to carry out that occult agenda that was probably instilled in him from a very early age. This entry was posted in Black Cults, Nancy Pelosi, Obama. Bookmark the permalink.